Located just a short walk from the centre of Ashford in Kent, Ashford International railway station is well known to European travellers as one of the primary UK transport hubs for Eurostar services to Paris and Brussels. The station was built in 1995 and opened in 1996 prior to the completion of Section 1 of the now fully operational HS1 high-speed rail link from London to the Channel Tunnel. It is used for international services, currently only operated by Eurostar, between London and France and Belgium. The station is operated by Eurostar on behalf of HS1 Limited. Although they didn't originally install the system, Chatham based Senseco Systems was recently procured by Eurostar and with the support from Tim Garrett Senseco was engaged to maintain it. 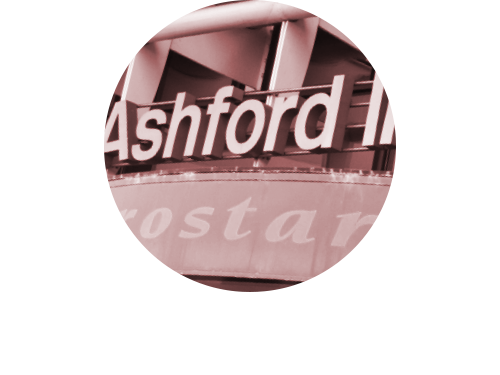 Steve Thomas, the company's Business Development Director, comments, ‘We are a specialist fire detection and security solutions provider and our team has worked at Ashford International for a number of years. During our planned maintenance regime we found that we were spending an increasing amount of time sourcing spare components. This situation was untenable, so we discussed with Tim the benefits of installing a new system that would eliminate these problems.' After Tim issued a tender document in March 2011 Senseco outlined its proposal which, following a rigorous procurement strategy, was duly accepted. Central to its plan was replacing the existing system with a solution based around Hochiki Europe's Enhanced Systems Protocol (ESP). ESP is a robust total communications solution for intelligent fire detection and fully integrated systems. It has a multi-purpose structure that provides the flexibility and expansion to accommodate simple addressable systems through to integrated building management and safety systems. Products from Hochiki's HFP range were utilised and the analogue addressable system comprises of an eight loop main control panel that is supplemented by two repeater panels and a number of mimic panels sited in various locations in the main terminal. A total of over 700 HFP devices were installed including 90 interfaces, 13 heat sensors, and 77 call points including weatherproof call points. A number of combined smoke and heat detectors, single and dual input modules, and dual relay controllers were also used. Railway stations can be very dirty and dusty environments so it was important to use devices that have a high resistance to unwanted alarms. To account for this Senseco installed over 500 Hochiki ALK-E optical smoke sensors. These devices feature the company's unique High Performance Chamber Technology, which minimises the differences in sensitivity experienced in flaming and smouldering fires. The result is a high performance optical chamber that is equally responsive to all smoke types and helps to reduce the possibility of unwanted alarms at Ashford International. The installation went incredibly smoothly and according to Senseco Systems' Steve Thomas, many of the possible obstacles were surveyed and expertly managed by our contracts department and therefore avoided. He says, ‘For an upgrade project like this in a public building maintaining detection coverage during the installation is important. To make sure this happened we replaced one loop at a time so that the entire station was continually covered and the protection of those on the premises was maintained at all times.' The project was a huge success and we are very proud of our contract performance, our product partnership with Hochiki and our excellent relationship with a high profile client such as Eurostar.